The medicinal mud is used for the treatment of all kinds of musculoskeletal system disorders, peripheral nervous system disorders, gynaecological and andrological disorders, sterility, as well as skin diseases. Lye compressions have a strongly exhibited anti-inflammatory and analgesic effect when applied in case of pains in the neck, waist, knee and shoulder joints, hands, etc. Physiotherapy is performed through therapy with low- and medium-frequency currents suitable for treatment of pains in the joints, ear diseases (otitis), sinusitis, stimulation of damaged muscles, discopathy and disc herniation. 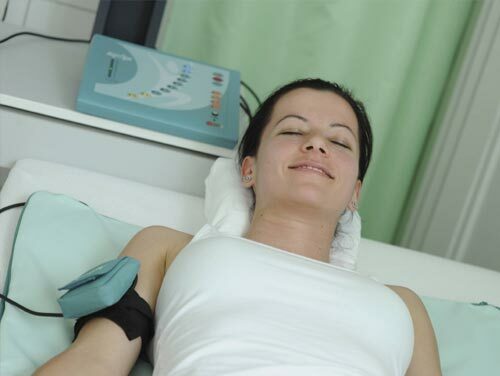 The hospital also offers therapies with ultrasound, magnets, iontophoresis, electrophoresis, etc. The facility has a lymph drainage apparatus (so-called pressing therapy) used for complete detoxification of the body, lymph draining, weight loss, cellulite reduction, smoothing of unevenness of the skin, body shaping, improvement of muscle tone, improvement of the body’s metabolism and blood flow, relaxation. Through kinesitherapy you can take part in group exercises or prepare, together with our rehabilitators, an individual schedule of recuperative exercise, analytical gymnastics and specialised recuperative gymnastics with mechanotherapy, used for the treatment of disorders such as coxarthrosis, discopathy, disc herniation, etc. The hospital offers recuperative and relaxing massage, whose beneficial effect reduces muscle fatigue, restores normal tone and eliminates pain in the body. The natural products and essential oils that we use restore the balance of the body, improve the condition of the skin and have a strong tonic and soothing effect. Available for our guests are hydromassage baths for tangentor massage conducted by our medical team. The baths have a relaxing and invigorating effect, depending on the added products, which could be marine salts, algae, herbal extractions, essential oils, etc.